Over the past decade or so, one of the most improving forms of marketing is through social media. It used to be an afterthought in terms of business because most of the users were of the younger generation. 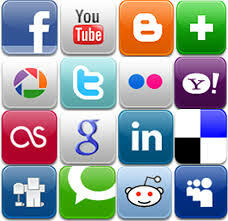 Since then, social media has expanded greatly both with different platforms and the number of users. This allowed social media to infiltrate the business world and make a huge impact. One of the best things about social media is the ability for something to go viral, or to become spread throughout the internet. When someone follows your company’s page they are able to view and share the content that you post. If your customers like what they see, they will share it to everyone who follows them, which will make your content available to even more people. This type of chain reaction can increase the exposure of your content greatly. It should be a goal to have every single one of your posts go viral because the more something gets exposed, the larger your potential customers will be. Another good thing about social media is the interaction that you can have with your customers. Some people prefer individualized attention over broad marketing, so social media allows companies to communicate with their customers or potential customers personally. Also some social media platforms have polls that customers can take or contests that they can enter, which both are good ways to create excitement within your company’s target market. It is all about having a positive relationship with your customers, so if someone posts negative things about your company on a social media site, you will be able to see what you did wrong and talk to the customer to hopefully improve the relationship. The last good thing about social media marketing is that your company will be able to review the feedback of the content that you posted. This can be seen by the amount of activity that a post receives. If your company posts something and there are a lot of shares and likes, then you know the marketing was successful because it received positive feedback. On the other hand, if a post receives very little or no likes or shares, it is a good indication that the marketing technique you used was not successful and it needs to be altered or deleted completely. Another thing that is good about this is that it can be done with every single post. To summarize, the importance of social media cannot be overlooked. It is a growing industry for marketing, and it will continue to grow in the future so it is important to utilize it as much as possible. Some important things to remember about social media are that it is a good way to increase your exposure, it is a great way to interact with your customers, and it can be used to gage your company’s marketing success. If you keep these three points in mind when using social media marketing, then you should definitely see positive results.